To watch a video demonstration click watch. 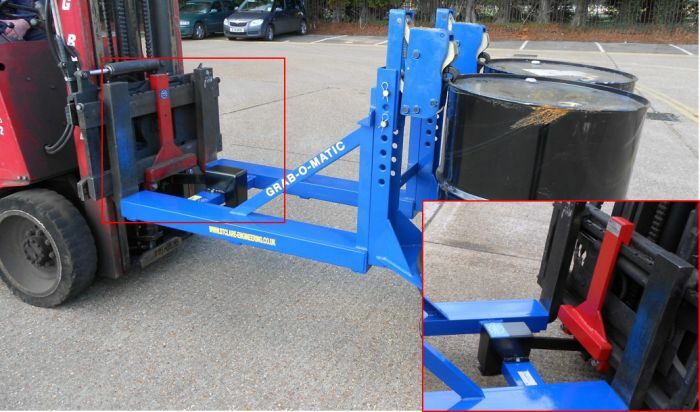 When the forks are inserted fully into the fork pockets and raised a sprung loaded lever locks behind the carriage hook plate and will only release when the unit is lowered to the ground. This reverses the action and the forks can be withdrawn from the unit.